Savvy Spending: Free CleanCup K Cup Brewer Cleaner sample! 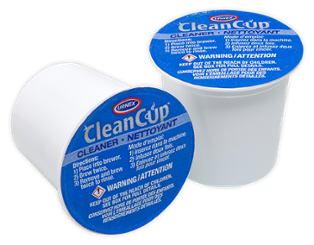 Free CleanCup K Cup Brewer Cleaner sample! You can request a FREE Urnex CleanCup K-Cup Brewer Cleaner sample! With CleanCup, you’ll experience the best tasting coffee from your Keurig brewer as it removes oily residue from exit needle and brew chamber.